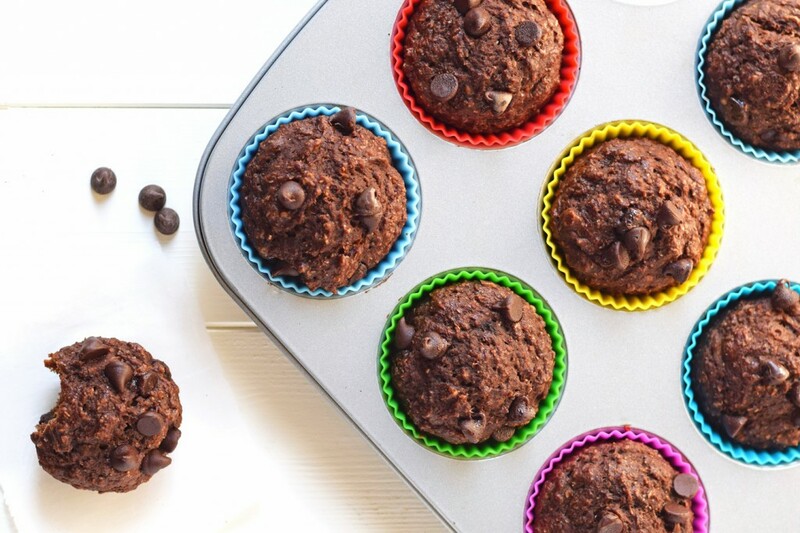 Healthy Chocolate Banana Bran Muffins – You’d never guess these moist, chocolatey, delicious muffins are full of healthy ingredients. Only 120 calories, 3 grams of protein, and 4 grams of fiber each! The New Year is here and most likely you’re working on some healthy goals. I’m here, a few weeks in, to remind you that one important key is to work on a healthy lifestyle that will last. In other words, if it’s not something you can sustain longterm, it’s just not going to stick. One of the best decisions I ever made was to ditch the idea that healthy food has to take hours, and be tasteless and/or disgusting. Healthy food really can be delicious and easy! 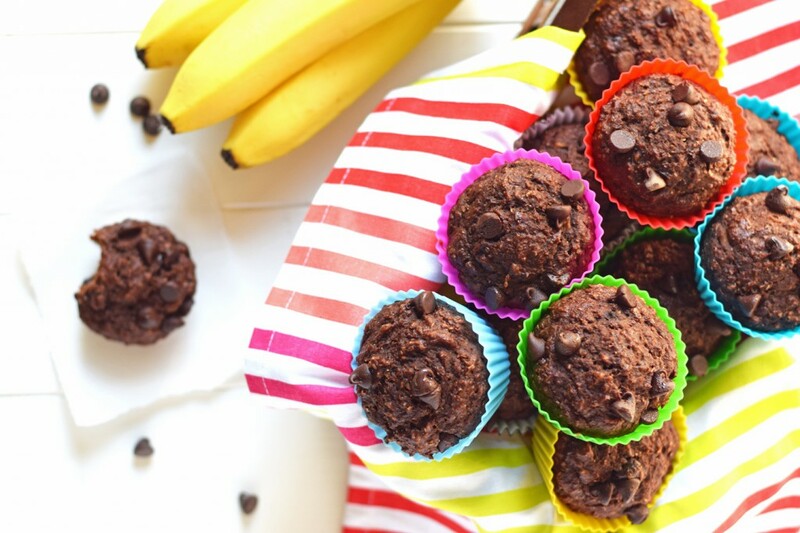 These moist, delicious chocolate banana bran muffins are made with healthy whole grains and no refined sugar or oil, but the healthy is hidden behind sweet banana and chocolatey goodness. And, with only 120 calories, 3 grams of protein, and 4 grams of fiber they make the perfect healthy breakfast on the go! The protein and fiber will help keep you feeling full and satisfied for hours. I shared the complete recipe on the Simple As That Blog. Click HERE for the full recipe. * Actual nutrition info may vary based on exact ingredients used. Silicone Cupcake Liners: These things are the greatest invention ever! They never stick, I throw them in the dishwasher and then back in the cabinet, and I never go to make muffins and find I don’t have any liners! You can get a set of 24 on Amazon for less than $10. Awesome. Plenty of Muffin Pans: This one may seem silly, but these pans are totally affordable and every kitchen should have at least three. 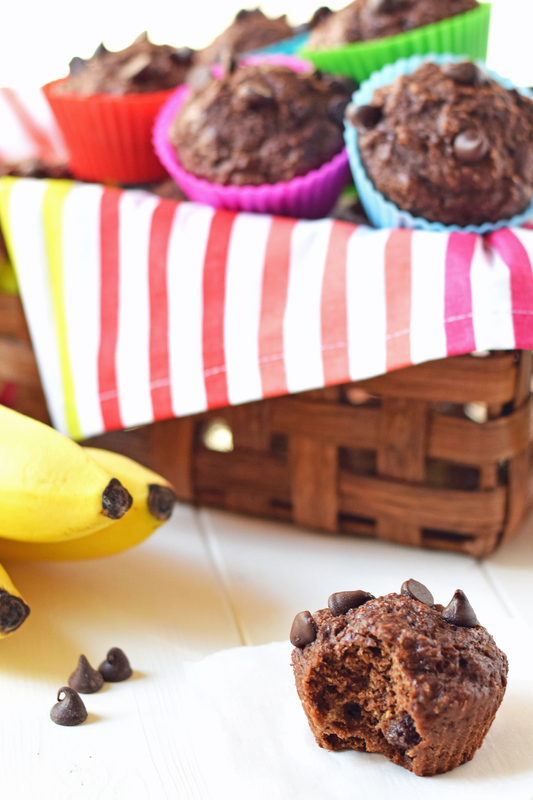 Muffins are a fantastic breakfast food to make in bulk and freeze to pull out for busy mornings! You can grab extras on Amazon for $10 or less. Any substitution for the bananas? We have a banana allergy here.